The best thing about renting a room in Belgrano is that you can choose from areas that are quite different from each other. Belgrano "C" is the most commercial area, with the corner of Cabildo and Juramento being a landmark; Bajo Belgrano is the area closest to the river. In both areas, there are buildings with modern and comfortable rooms for rent; in Belgrano "R", youll find houses with rooms for rent, given that it is a residential area. If you enjoy living in a well-connected and commercial neighborhood, choose Belgrano along Cabildo Avenue, because there are many clothing stores, shoe stores, general goods stores, bookstores, and toy stores. There are also many bus lines that pass by, in addition to the Line "D" of the subway and two train lines, the Mitre in Belgrano R station and the Tigre in Belgrano C station. Single room to rent in a very nice apartment in Belgrano. You’ll enjoy this residential area surrounded by nature. Amazing room with double bed in Belgrano. You’ll enjoy a fantastic view from floor 26. Nice double room for 1 person to rent in a very nice apartment in Belgrano, located at Cabildo Avenue. The room has Cable Tv. Sunny and cozy single room with balcony in a strategic location of Belgrano neighborhood. 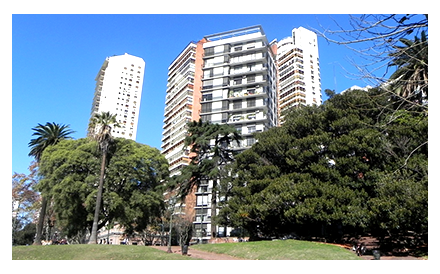 Sunny and cozy room with balcony in a strategic location of Belgrano neighborhood. Three different rooms for you to choose in a classic apartment located just a few steps away from the heart of Belgrano neighborhood.